While most of us were still in a much needed slumber after our New Year's Eve shenanigans, thousands were up bright and early to gather in the streets of Pasadena for the 125th Rose Parade. Before this year's battle on the field between Michigan State and Stanford, stunning larger-than-life floats covered in flowers and botanical treasures were sent down 5.5 miles of Colorado Boulevard with legendary L.A. Dodgers' announcer Vin Scully as the Grand Marshal. With "Dreams Come True" as the theme, marching bands, medieval style high-stepping equestrian units, and vibrant floats depicting everything from exotic Safari scenes to Kobe Bryant were part of the exciting procession. 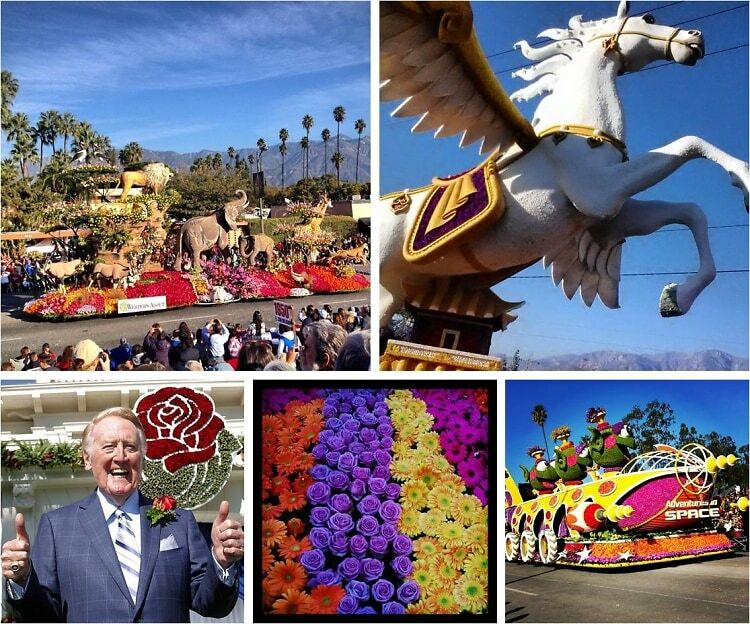 Check out this Instagram roundup of highlights and our favorite floats from the New Year's Day 2014 Tournament of Roses.